There were still plenty of flowers around this month and some plants just getting going. 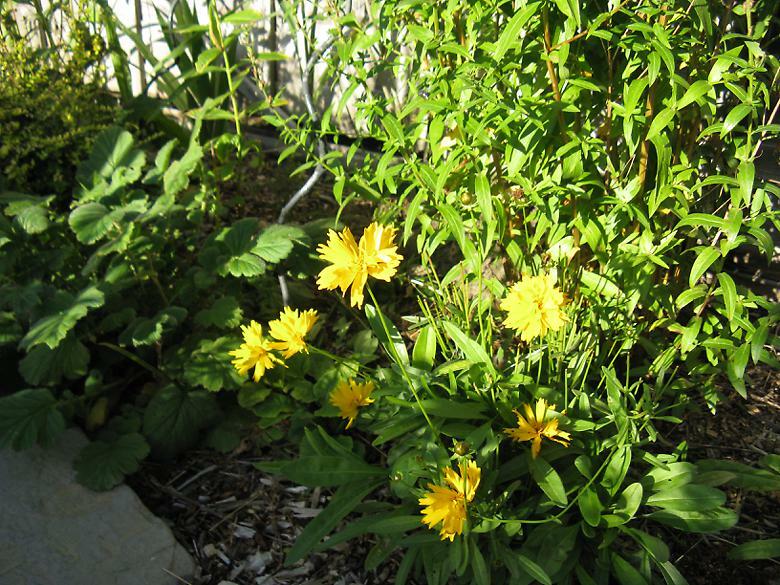 Coreopsis : This has been flowering away for most of the summer and doesn't seem to be stopping any time soon. 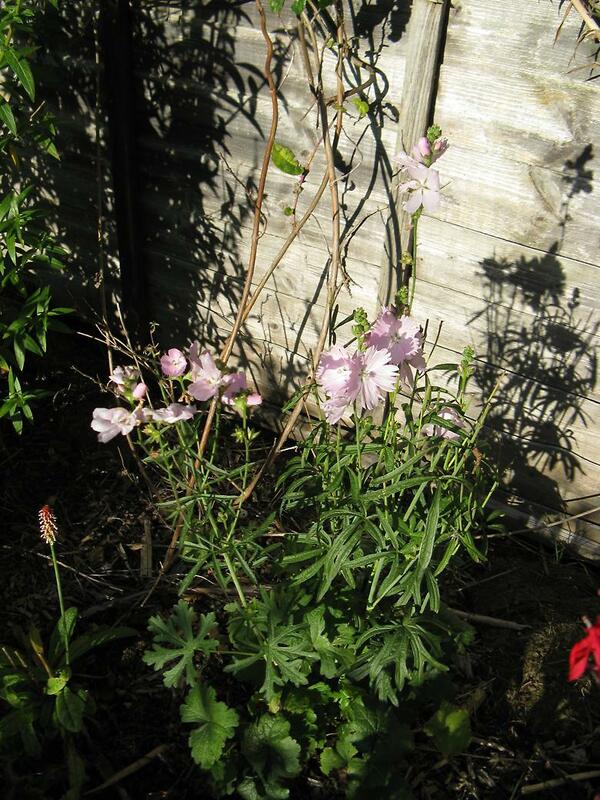 Sidalcea : The first flush of flowers died down, but there was a new lot of flowers not so long afterwards. Both pink ones are still flowering and the red one has buds, although they are no where near flowering yet. 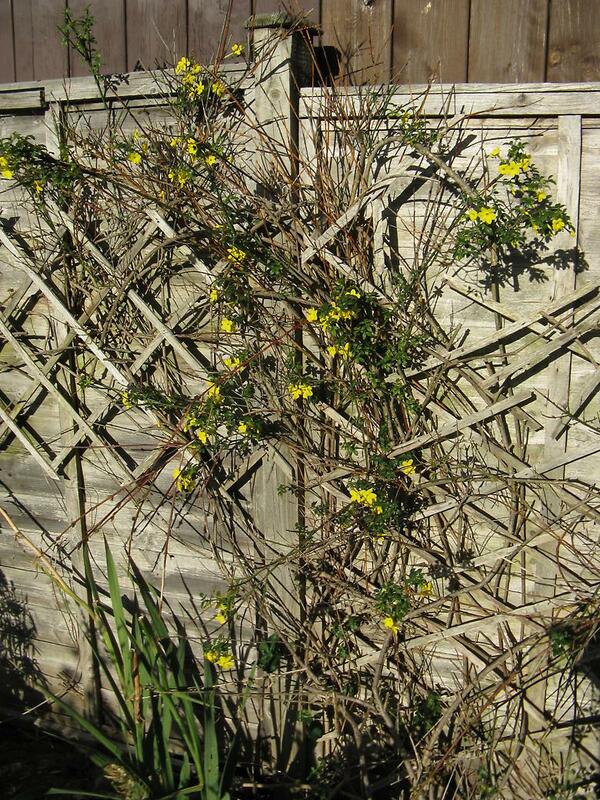 Winter jasmine : Started flowering again in the central part of it. I have been cutting back the old wood each year but probably not as much as I should do as I'm not sure how much it is holding the fence up! 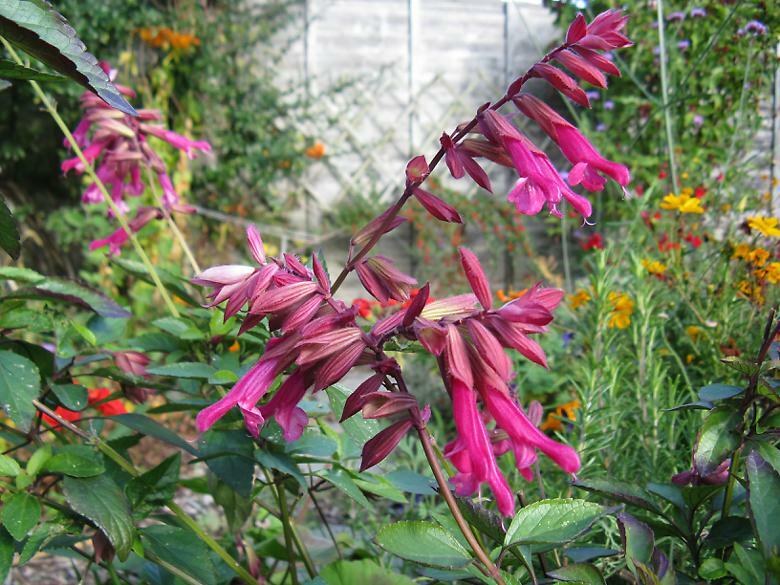 Salvia 'Wendys wish' : Earlier in the year, the flowers were more spaced out, with fewer out at the same time. Now it is looking better with a more solid mass of flowers. I've changed my mind, and I may try and keep this through the winter again. 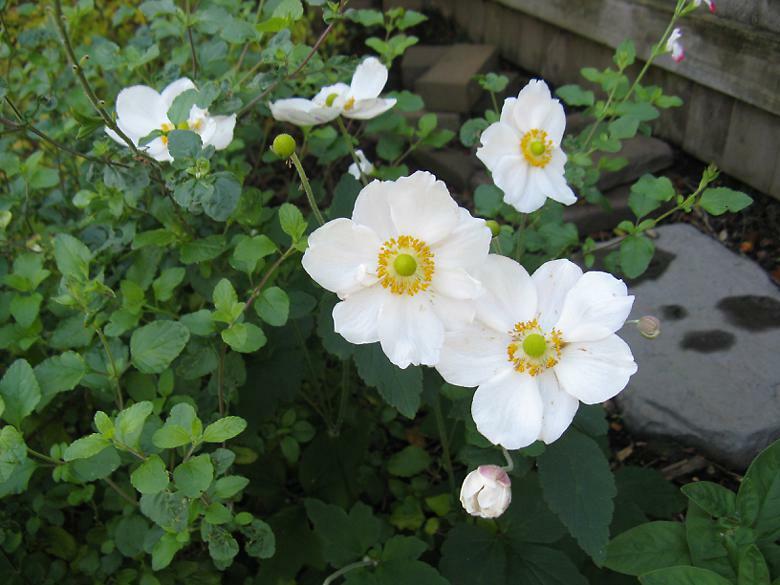 Anemone × hybrida 'Honorine Jobert' : This has done well and there are many flowers this year. It is somewhat hidden by the Salvia next to it and one of them will have to move. It will probably be the Salvia, but that is next years project. 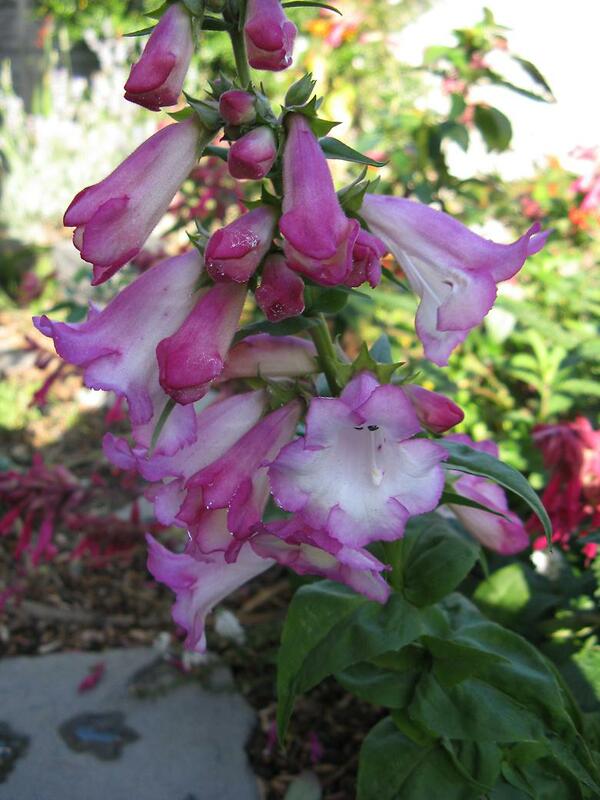 Penstemon : Another of the ones grown from seed this year. Of the ones that have flowered so far, this is midway between the dark one that flowered first and a much lighter one. 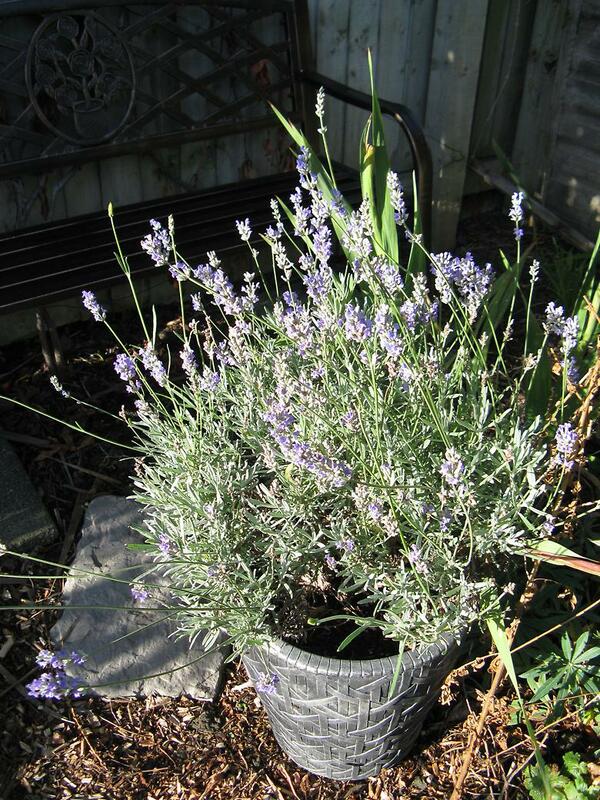 Lavender : The lavender has remained more compact and not had so many flowers this year, but now it is looking a bit better. 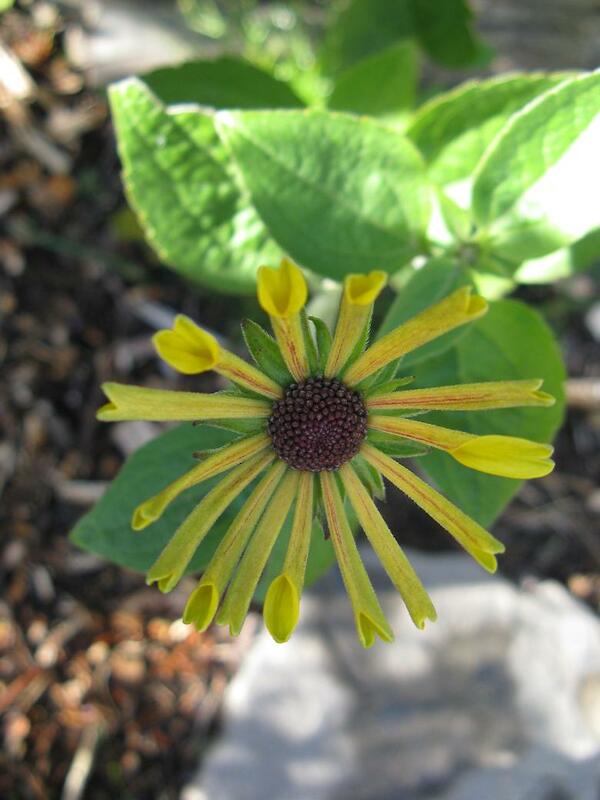 Rudbeckia 'Little Henry' : I don't think much of this so far. Hopefully next year there will be more flowers. 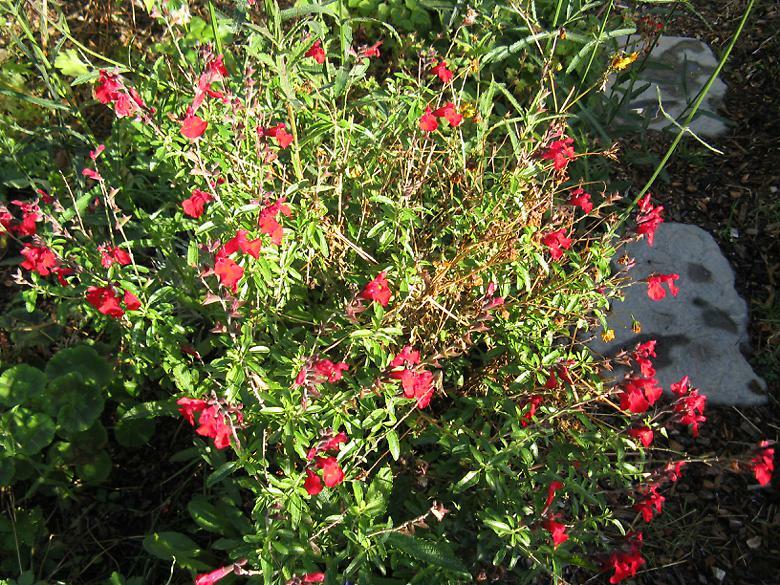 Salvia 'Radio red' : This is still a mass of flowers. It has been hidden a bit by the largest yellow Cosmos for a couple of months, but now that has died back leaving the red flowers very visible. A few of the perennials have already died back for the winter. The large Astilbe has gone completely brown and the Geranium 'Hocus pocus' has almost vanished. The Sanguisorba 'Tanna' is starting to go brown. The yellow Cosmos died back already, I may not grow them again, and grow the C. bipinnatus instead. The original stems of the Monarda have died back, but there is new growth from the ground. Strangely there is new growth on the Helenium 'Siesta' while the old growth has died back completely, even though there are still flowers.